I'm relatively late to the essential oils game. I only fell in love with them just over a year ago. But in love with them I am. I started out small by adding them to my homemade cleaners and then it basically just blew up from there. I was ditching my normal products to combat mold and sore throats, and I wore a clay necklace with a few drops of peppermint essential oil when I was feeling congested. 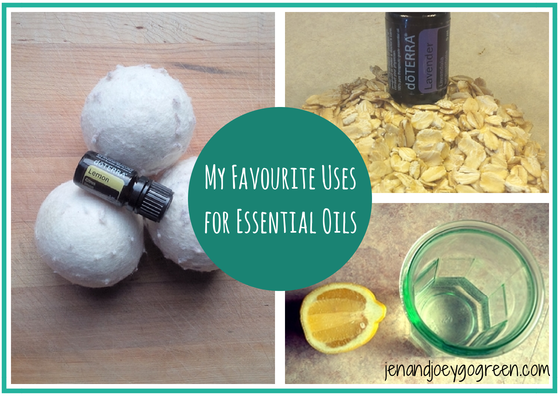 As I continue to explore new ways to use essential oils in our lives, I wanted to share my favourite uses so far. These are easy for anyone to incorporate into their routine, where you are an essential oil novice or a complete addict. 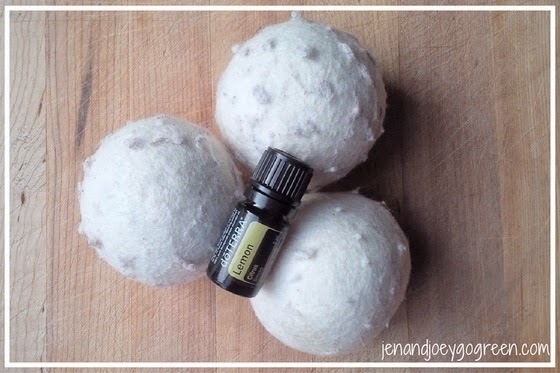 If you aren't using wool dryer balls yet you need to start. They are a natural way to soften your clothes, reduce static and can drastically cut drying times. Plus they are an easy way to eliminate toxins in your life if you are using dryer sheets. Pick your favourite essential oil (I like lemon or grapefruit and add 2-3 drops to each ball. Once a month add a few more drops to the balls to keep the scent fresh. My go-to face scrub was Kiss My Face but it is ridiculously hard to find so I had gone a long time without having a face scrub. Which makes me feel like a lizard. A natural replacement to a store bought face scrub is easy to make at home with just 3 ingredients. In a small bowl add the oats and the essential oil. Mix well and add a small amount of water (I try a tbsp at a time) while stirring until you reach a paste like consistency. Allow to sit for a few minutes and then rub it onto your face in circular motions. Leave it on for 5 minutes and enjoy how unbelievably awesome you look. 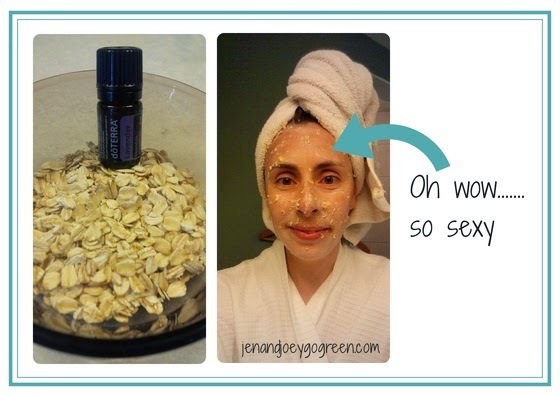 Wash your face with water to remove the oats. Check your hair too because there is a 99% chance that you have some in there too. When life gives you lemons, use them in your water. But when you run out of lemons, use 3 drops of lemon essential oil for the same taste and positive results on your digestion. I even find that the next time I have water from the same container I don't have to add as many drops of essential oil because there is still some oil residue left on the sides of the container. 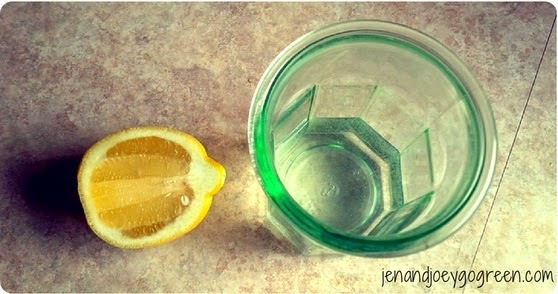 Lemon water made with lemon essential oil is also great to drink when you feel a sore throat coming on. I did that several times this winter and would wake up with the sore throat completely gone. Magic. Sometimes you get more than you bargain for with your gym membership. Note to self - always wear flip flops in the gym shower. I didn't want to use conventional creams that are filled with chemicals, so I made my own cream. Wash your feet with a natural soap and then dry extremely well. Mix the above ingredients in the palm of your hand and rub all over the affected area. Do this twice a day (I prefer when I get up and right before bed) for 1 month. What is your favourite use for essential oils? This is fabulous. I'm new to EO but going to try a few of these! I just put sweet orange drops on my wool dryer balls tonight. Love that tip! Ive used my oils for so many things over the years. Great post! I put EOs on a small piece of cloth and vacuum it up into the vacuum. Then, as I vacuum the rest of the house, it freshens the air and leaves a lovely scent. Thanks for this post ... love your ideas! Using lemon essential oil as a sub for real lemons is going to be a gamechanger for me! I'm regularly running out so I predict lots more lemon water and lemon tea in my future! The grocery store was out of lemons for a week last month so I loved having the lemon EO as a backup. I'm totally going to try the wool dryer ball thing!